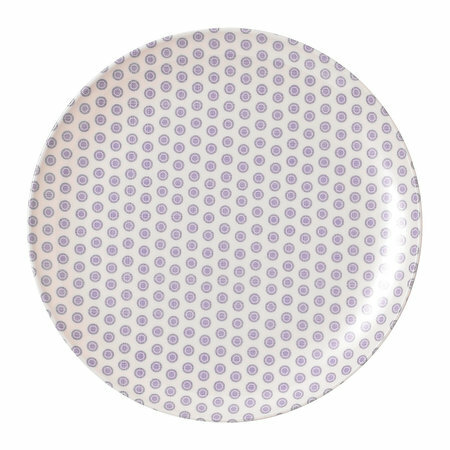 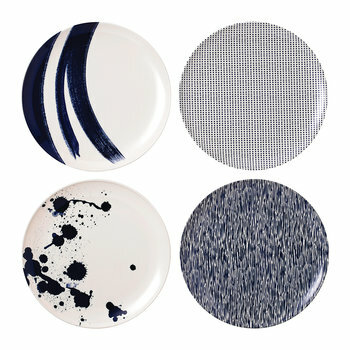 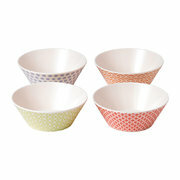 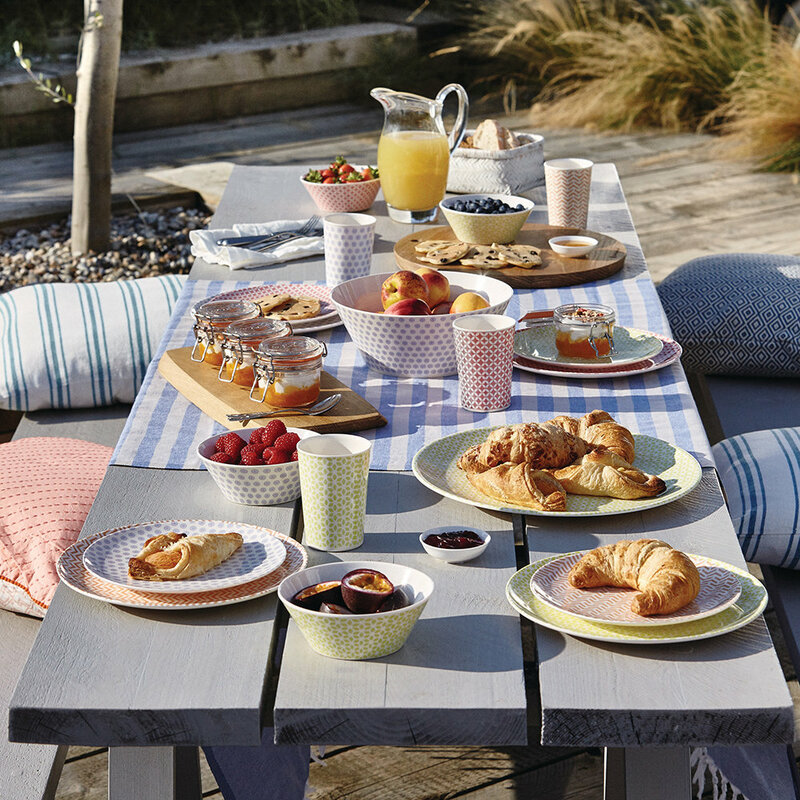 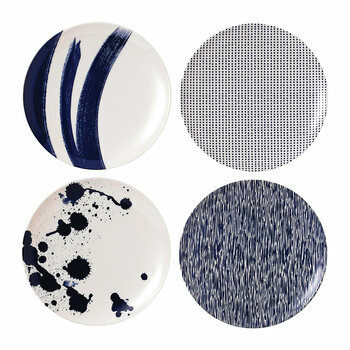 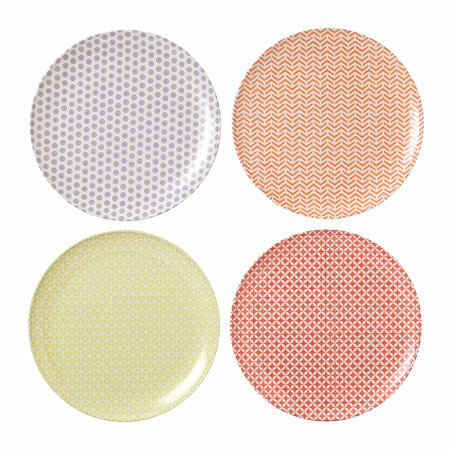 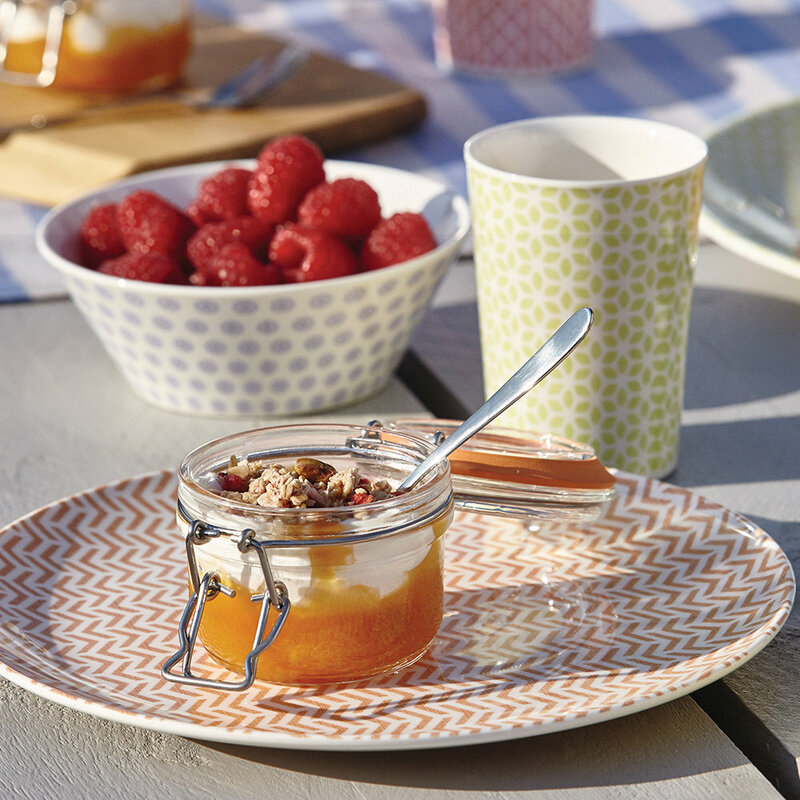 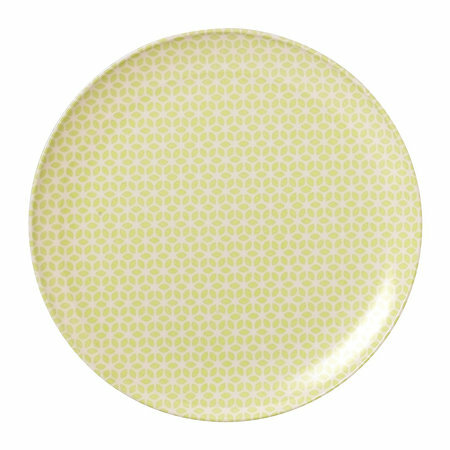 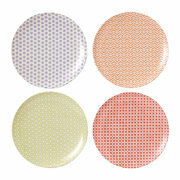 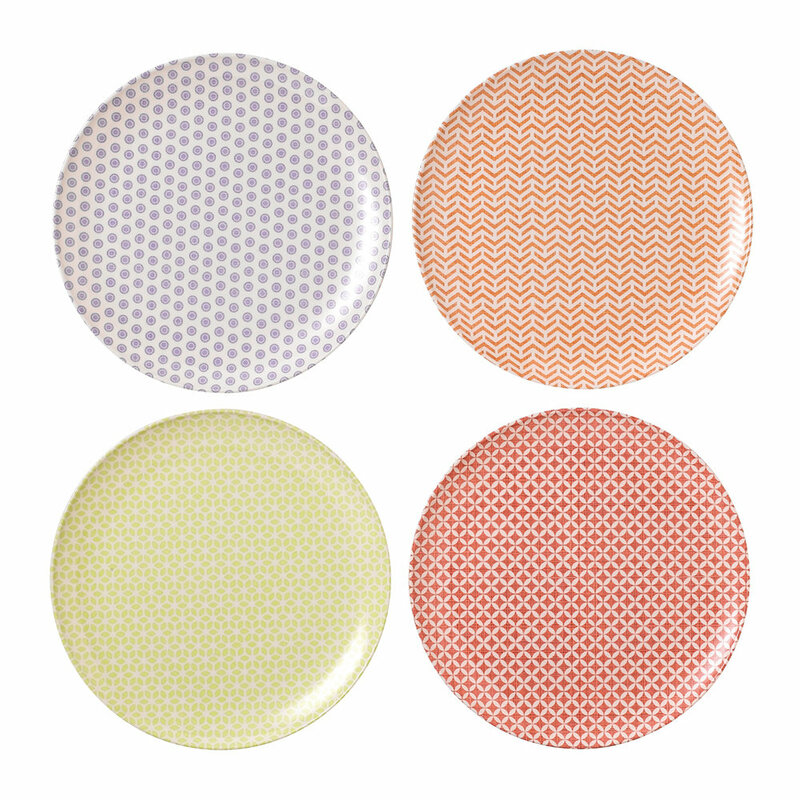 Create a chic al fresco dining setting with this Pastels set of four dinner plates from Royal Doulton. 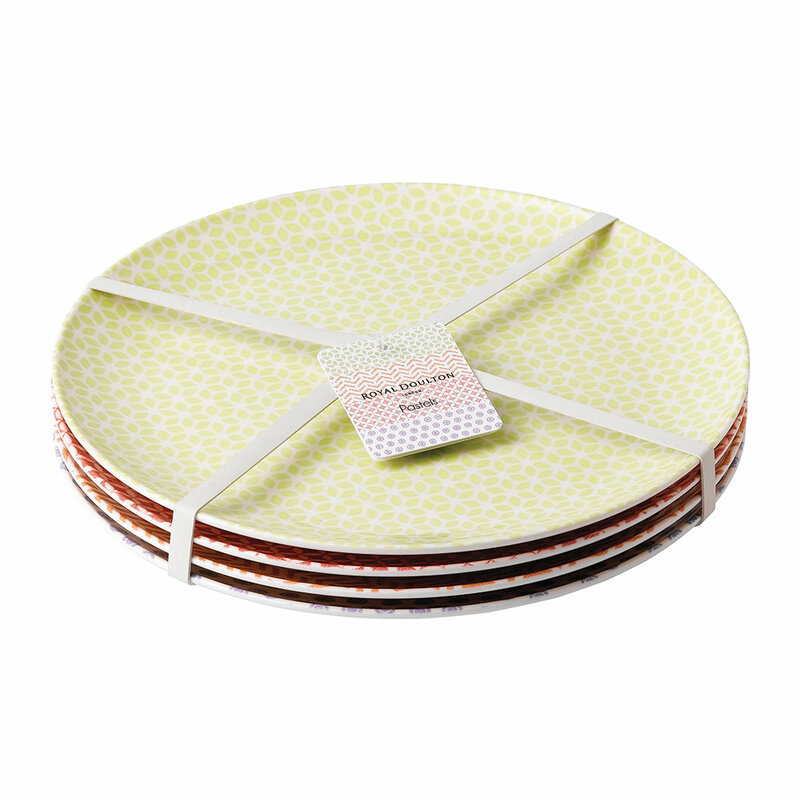 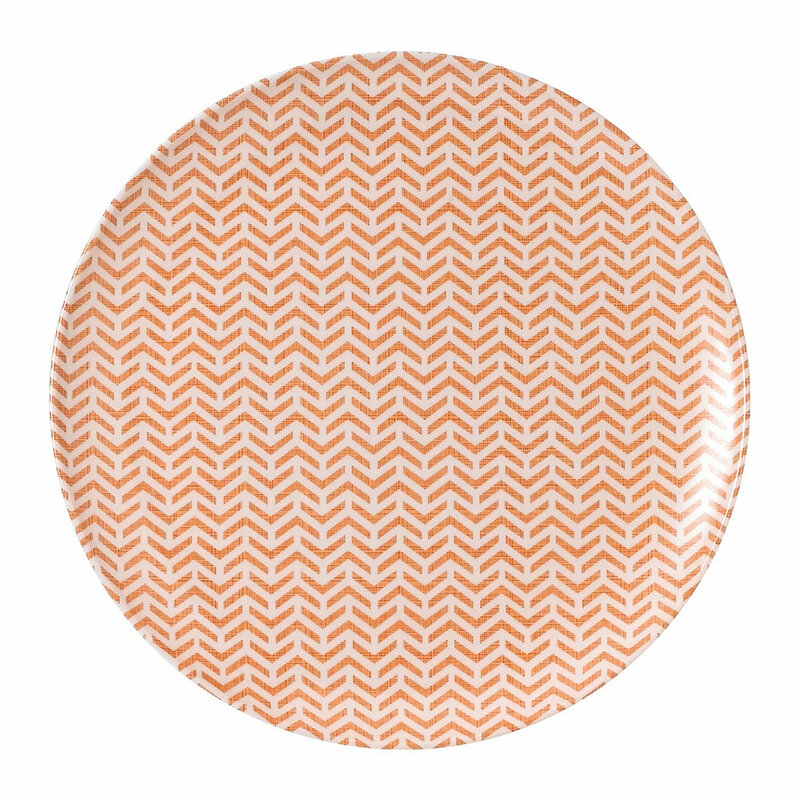 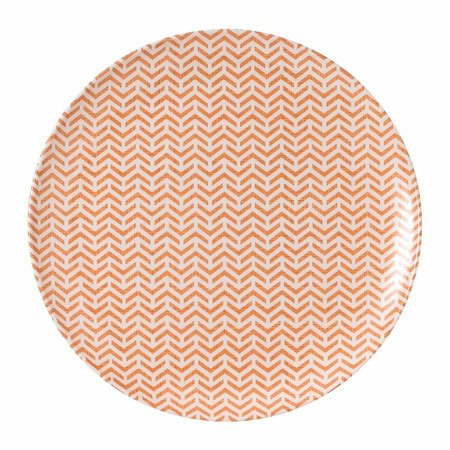 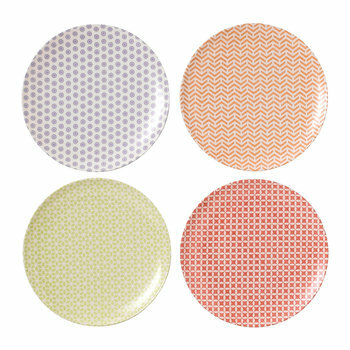 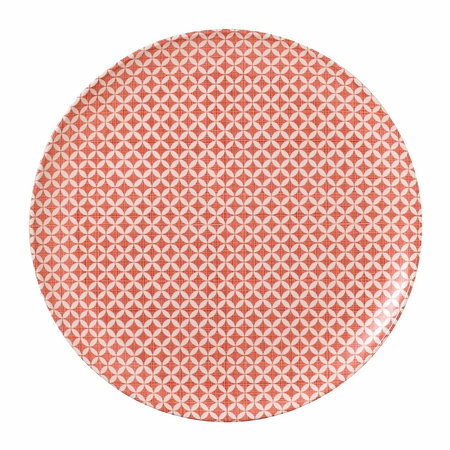 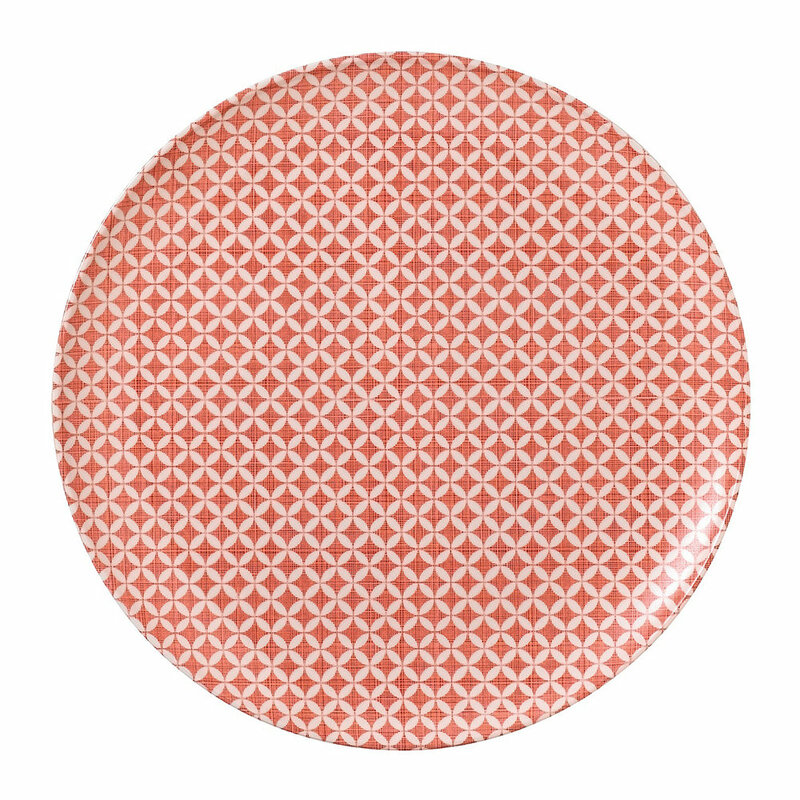 In four bright colours, these dinner plates are each patterned with a unique yet complementing geometric design. 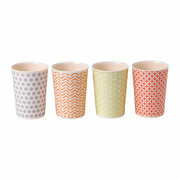 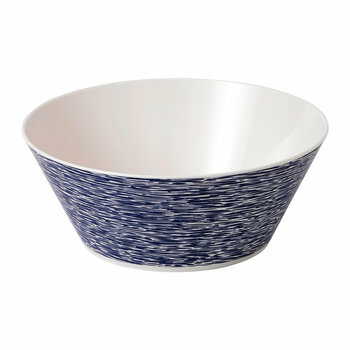 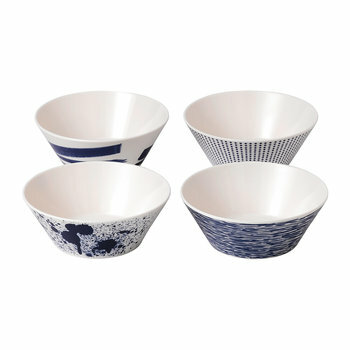 Crafted from white melamine, they are durable and smash resistant making them excellent for outdoor dining and picnics.